ETA: Meant to title it "CallING..." not "Called..."
-shelter employees, among others, are mostly wrong about what breed a dog is. -most shelter dogs are mixed with more than 2 breeds. -breed labeling REDUCES adoption rates and INCREASES shelter stay for some dogs. So it directly impacts welfare. -removing breed labeling has increased adoption rates for all breeds, in some shelters. Parsimony is important. In the shelters where the study was done, "4.9% of the dogs identified as purebreds. The three most common breed signatures, in order of prevalence, American Staffordshire Terrier, Chihuahua, and Poodle, accounted for 42.5% or all breed identifications at the great grandparent level." This does not mean this is the case for all shelters across the country; there are surely regional differences. But you can probably bet money the big fluffy white dog you adopted is not a purebred Akbash. When in doubt, it is more accurate to go for common breeds or be vague (or DNA test). For example, "poodle mix" versus "Portuguese Water Dog mix", "terrier mix" versus "Black Russian terrier mix", "shepherd mix" rather than "Dutch shepherd mix." DNA tests are not 100% accurate. Wisdom Panel is about 90% or more accurate (I don't know how this was tested but it was one reason why the scientists in the linked study chose Wisdom Panel). That is still more accurate than any person. It is also important to call a dog what it is to promote accurate public perception of the breed, for safety of people and dogs. Since I have a Dutch shepherd, I'll speak from this perspective. 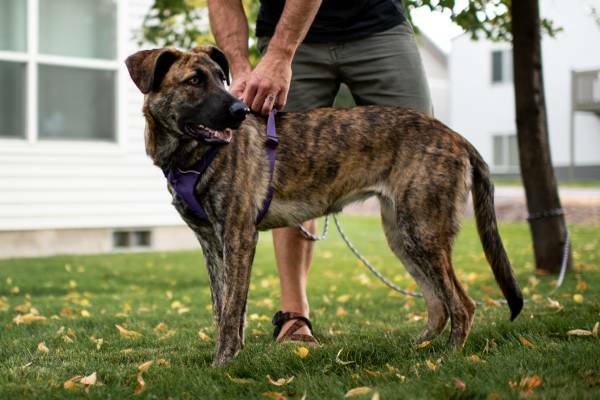 Let's say the pointy-eared, stripey dog you adopted was labeled as a Dutch shepherd mix and so you call it that. Let's say the dog is mellow, great with kids, laid-back, and pretty much the perfect family dog. Three things may happen: 1. People will think Dutch shepherds behave this way. 2. People inquiring may want Dutch shepherds. 3. 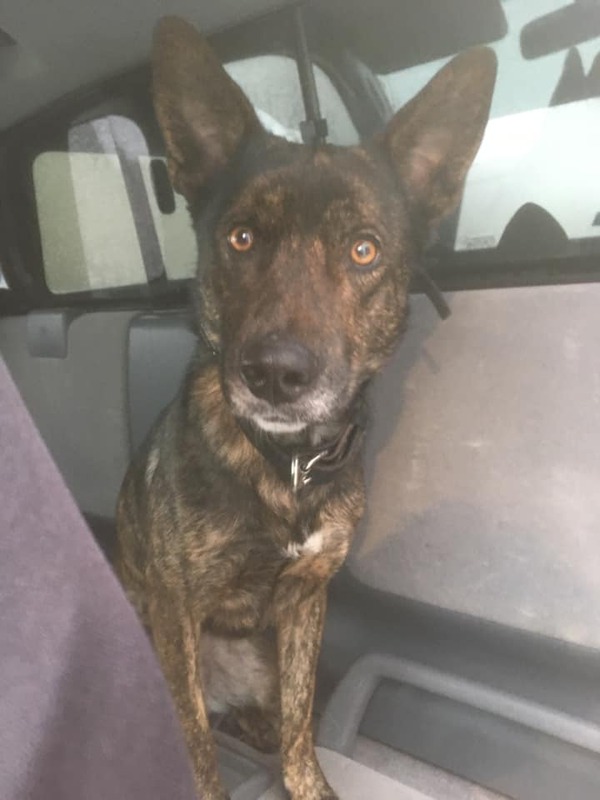 The owner may seek out a pure bred Dutch shepherd because their adopted dog was so great. 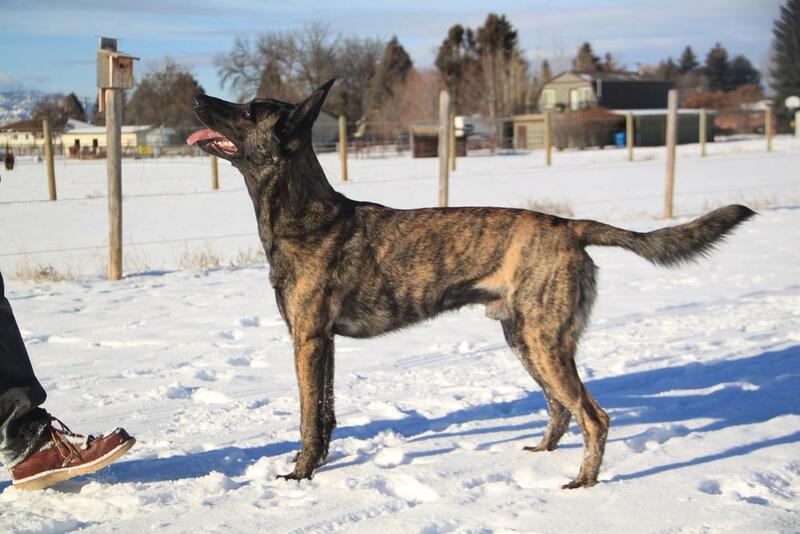 However, the problem is Dutch shepherds are typically NOT laid-back, mellow, or good-with-all. They bite hard, they are bred to bite+hold, AND they have the aloofness that shepherds tend to have. They can be neurotic. They are still bred purely for working and sport purposes. The majority of them do not do well in average pet homes (though they make great pets when well bred and well trained). You may think that the problem is solved by the fact that GOOD breeders will screen potential buyers and refuse to sell to someone without an accurate perception. However, there are bad breeders too, and THIS is where the unassuming buyer is more likely to get an animal. Poorly bred dogs of certain breeds are a bite risk. They are less likely sold with a contract that is stringent about breeding rights, so they more likely breed, and create more unstable, bite risk dogs who are not good representatives of the breed, and are more likely to be sold to further unassuming pet homes. The big picture is, people and dogs can get hurt. And breeds can become ruined over time as populations become inundated with poorly bred dogs (to meet demand), rather than well bred ones. I feel like this has already happened to the German Shepherd Dog and I think it is rapidly happening to the Malinois. 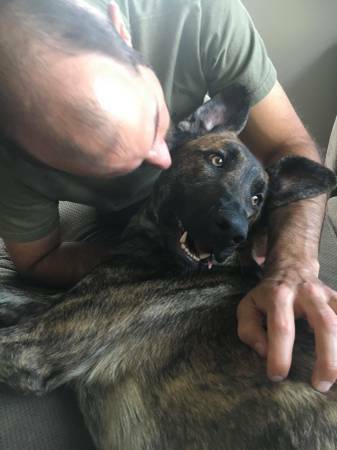 Here's my Dutch shepherd, from a very reputable and well known breeder in this country. Has been breeding for over a decade and primarily sends dogs to police, search and rescued, bite sport, and other sport homes. And all the other stuff like pedigreed, registered, breeder health tests, etc. I hope this post is informative. I'm not trying to gate-keep Dutch shepherds or prevent people from getting them, or any other breed. But I think it is important that people receive accurate information and do their research before getting any dog. And the culture of simply calling a dog ____X purely based on looks is harmful in so many ways. Thanks to research, it is hopefully changing over time. Many shelters are already removing breed labels and I hope the trend continues. Last edited by Canyx; 04-01-2019 at 12:16 PM. Very interesting. I agree that shelters should not label the breed at all. It's too bad the DNA testing takes so long otherwise that would be an option for prospective adopters. I know someone who has an extremely well-trained purebred Belgian Malinois. She has had several Malinois' in the past and has done extensive training with her current dog. I believe she has even done some competition obedience. People see her with her dog and comment on how calm and well behaved he is. When they ask what breed he is she just says he's a mixed breed. I totally agree. Some of the breed guesses I've seen for some rescues were not even plausible. My second mutt was labelled an Aussie mix and she has no herding dog in her whatsoever, from DNA. Brae is certainly very calm (when no toy is present) and well mannered in public. But I'm torn between being honest because I am proud of having him as a representative of the breed and our good training... And lying because the public does not see all the hard work I put in to have him behave this way. Believe me, the potential to have a bitey, neurotic beast was certainly there. When I have the chance to have a longer conversation with people, and if they want to, I let them play tug with him. I've had grown men who have "owned dogs all their life" say "Oh wow..." And that's when they can begin to imagine what could go wrong if they have that kind of energy in a dog and don't channel it the right way. A lot of dogs here get labeled Kelpie mix. Most look nothing like a Kelpie, but people fall for it. My big dog was labeled a dutchie mix, she is clearly a shepherd mix, both looks and behavior. Turns out she is gsd and staff is. She was returned twice before I got her. The dogs behavior traits should be more important than breed labels. The Portland shelter calls them "American shelter dogs"
A lot of working breeds, including yours and mine, have become more nerve than drive and a lot of it is due to breeding for money and not for good dogs. Fifty years ago, if someone with a purebred poodle was impregnated with the neighbor's purebred Golden Retriever, they sat outside a grocery store with a box of the mutt puppies and a sign that said, "Free." Today, people breed their poodles with golden retrievers, dub them "Goldendoodles" and charge $1,000 or more for each of the pups. And as long as people will pay, breeders will breed. No judgement here. I'm just as guilty. I purchased a border collie pup knowing full well the breeder did not do genetic testing or register the pups with the American Kennel Club and was what many would call a "backyard breeder." It was a decision I made after finding very few young pups in the local city & county animal shelters and being turned off by local so-called "rescue" agencies for filthy conditions or operating like a for-profit business. I don't think most government run animal shelters would do DNA testing unless they get outside funding earmarked just for that purpose. What many people don't understand is that city and county animal shelter employees have higher authorities they must answer to, especially when it comes to finances (city council or county board of supervisors - who in turn must answer to the taxpayers). If people are really serious about wanting shelter dogs tested, they might consider starting their own non-profit organization to raise money to provide DNA tests for their local shelters. FYI, in my area, the majority of young shelter dogs look to be pit bull or chihuahua in appearance, which appears on target with what the study found at the tested shelters. I don't think shelters should do DNA testing. I think they should be honest about not knowing what a dog is, and instead focus on matching based on behavior, history, etc. I think if an individual cares enough to say "my dog is a Lagotto/X I got from my shelter!" they should test their dog. I am of a similar background to OldNGrey and did everything I could to avoid puppy mills and just find a nice, honest mutt. I was wondering what the socially acceptable response to, "What breed is she?" was. I'm saving up for her spay, so $90 for DNA testing isn't going to happen any time soon. She's a little yellow dog. That much I know is true. Last edited by laurelsmom; 04-04-2019 at 11:23 AM. Laurel the Wonder Dog born on or about 9/1/18: micro-mutt, li'l yaller dawg, or "All-American". Bonnie is from a purebred Golden Retriever by a large Miniature poodle (they called it a Moyen) but as he was merle and white, he obviously had something else in him and we suspect Australian Shepherd as his breeder also had them. Bonnie is merle colored like an Aussie. I also rescued her half sister (by the same male but from a Toy Poodle) who is like the sire, white with merle patches. I wonder what they would have labelled them at a Rescue? I was wondering what the socially acceptable response to, "What breed is she?" was. My dad, who retired from animal control about 20 years ago, used to refer to the unidentifiable mixed breeds as "a Heinz 57." I always thought the name was cute and descriptive without the negative connotation of "some kind of mutt," that I'd hear other people say. Our (meaning within the region) Shelter has a novel program. They permit visitors (well screened, appropriately responsible) to "rent" a dog for a day. Everything that the dog needs is supplied. The only request is that the "visitor" (turned handler) will take pictures/video of the fun they are having together, to be posted on social media! Of course most of these dogs get adopted by their handler. But at least the dog's personality is showcased for the record. Pluses include showing how they interact with a new (strange) person, which is not staged behavior, but random and spontaneous, demonstrating flexibility and an outgoing, positive temperament. That's cool Pacificsun! My shelter is doing that kind of program right as I type. I agree that it is a very nice way to have potential adopters get to know a dog, and for the shelter to collect more information. My shelter (among others) participates in shelter-behavior research almost every year. We are very lucky to have scientists (like the ones who did the breed perception study) come and present to staff too. The best part is, we make immediate changes based on what the research presents. For example, 1-2 years ago we were part of the study that examined the effects of short term fostering on shelter dogs' stress levels. Based on the findings showing that cortisol drops significantly, then returns to baseline when the dog returns (ie, it at least doesn't seem to harm the dog), we bolstered our foster dog program with great success. Wow. Your Shelter sounds very progressive and proactive! How interesting it must be to work there. Thank you so much for the reply. The Shelter I mentioned is on the West coast. It's funny - I think that keeping the studbooks closed will continue to degrade the genetic diversity and health of purebred dogs, which is really just a kind of arbitrary designation anyway. And yet my next dog will probably be a purebred and I was also immensely curious to know what breeds my two shelter dogs were. Maybe because I just cannot let unanswered questions alone, and maybe because they are pretty distinct in appearance. They were clearly *something* outside of the usual shepherd/husky/pitbull/poodle blends. There are lots of acceptable answers! "A bunch of them, probably!" If people really don't leave it alone, you can say "maybe we'll find out some day but for now we're just happy she's ours". Or something equally as saccharine, idk. It's funny - I think that keeping the studbooks closed will continue to degrade the genetic diversity and health of purebred dogs, which is really just a kind of arbitrary designation anyway. I would really like to see responsible breeders breeding for type or purpose without being restricted to a particular closed breed registry, but there is such an association with being responsible and being registered with the AKC... it'd be a challenging cultural shift. I'd like to see a dog registration program that worked more like some warmblood horse registries, where it is done by exam and performance. Last edited by parus; 04-04-2019 at 08:57 PM. The American Border Collie Association is exactly that. There are no closed stud books. The only standard is working ability. if a chow came along and could work like a BC, it would be registered. I know a LOT of 'working collies' (which are really land races, not a breed as kennel clubs define them) come back primarily BC (as the AKC recognized dogs) but with tiny traces of various things in there. There are also other land race breeds and types with similar things and organizations - fiests and alaskan huskys come to mind. 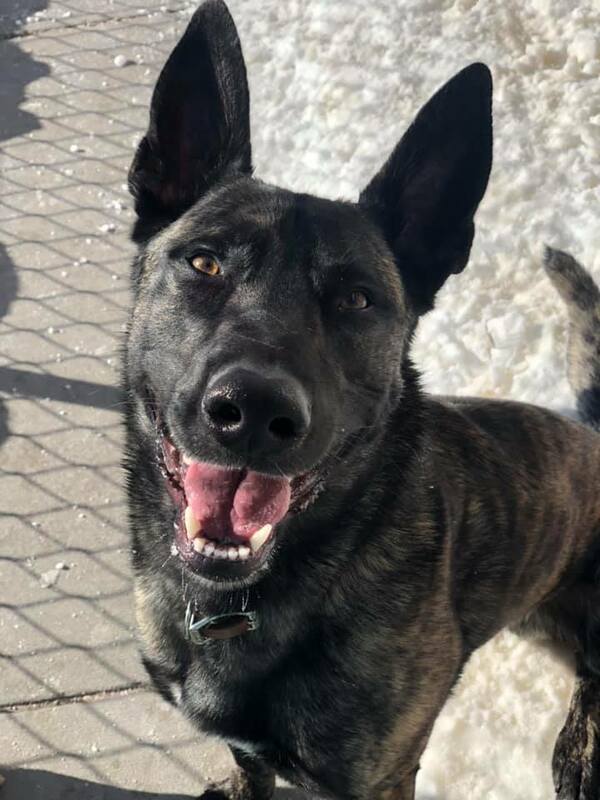 And, of course, there are plenty of hunters, farmers, and ranchers still breeding for working ability rather than breed and mixing at will based on a dog being what they want to add to their next generation of working dog - which is exactly where Kiran came from. Though finding THOSE people can be a challenge. This is a very interesting topic in terms of the direction this discussion is taking. I had no idea there were other breed “registration” systems other than under AKC. I can only speak for Poodles, but I like the purity of the pedigree system. (I don’t mean “purity” in a snobby way at all, just as a method used for the certainty of what the breeder is trying to accomplish). Meaning within overall conformation boundaries, that of establishing size, color and body definition, but of course other elements can be emphasized too. Like the traits of performance, agility, intelligence, problem solving, hunting, retrieving and therapy temperament. 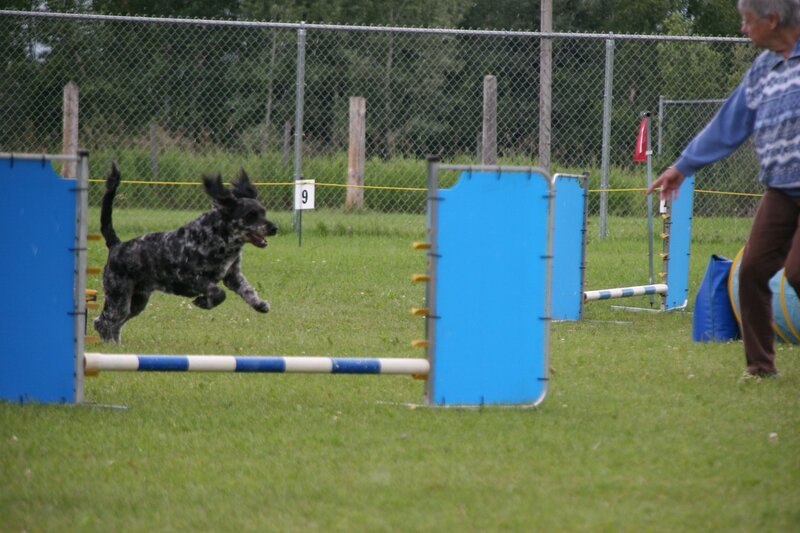 In fact, there is often a push to put Standard Poodles back into AKC’s “Sporting Class” rather than for staying in the “Non-Sporting Class”. Larger sized Poodles were very much working dogs throughout their history. And no doubt became so, as the result of their own blend of ancestry. Poodles were bred down in size for convenience. Only good responsible breeders have this patience however. Others will breed for appearance and minimum qualifying characteristics just to finish (title) the dog. While more thoughtful breeders will strategize over the long term, which might take several generations to realize, by finding just the proper Poodle outcross. But fundamentaly the breeder knows the predominant characteristics of their own stock. Which is another reason why the Poodle is often chosen to blend with Labs and Goldens, because their characteristics are (usually) so dependable. As breeders are developing true Goldendoodles (which will be AKC registered eventually) they are still struggling with predicting the results of their breeding, because the genetics have not yet been as fully stabilized as with the longer term history of Poodles. For example breeding for consistency in size, color, coat texture, etc.. It’s still a bit more of a wild card practice. However it just takes time and the effort of striving for consistency, that’s all. Last edited by Pacificsun; 04-05-2019 at 12:14 AM. How important is the breeder? Can it be more important than the breed? Perfect example of why early socialization is so important!